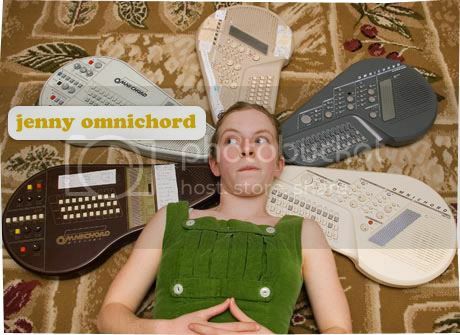 There’s a sweet, endearing, quirkiness that surrounds the music compositions of Jenny Omnichord, the stage moniker for the 23 year old, Jenny Mitchell. Her incorporation of the omnichord - a non-conventional, electronic instrument that’s capable of a multitude of effects - sets her music apart from most traditional works of female singer/songwriters of today. Her lucid, wistful vocals remind me of a more restrained, understated, less quirky version of Regina Spektor; that’s interspersed with spare and pretty melodies, which blooms and grows in all its candor. ‘Buildings’ fizzes and sparkles; beckoning a world of dreamy ambient on top of subtle melodic backdrops. Her first solo debut is titled, Cities of Ghost and Gifts, featuring both a stellar cast of song producers and support musicians, namely omnichord players. She also recently released an EP called Pregnancy 'P recently this year, documenting her tales and experiences of her pregnancy period.